Frases Brillantes - Bright Phrases. 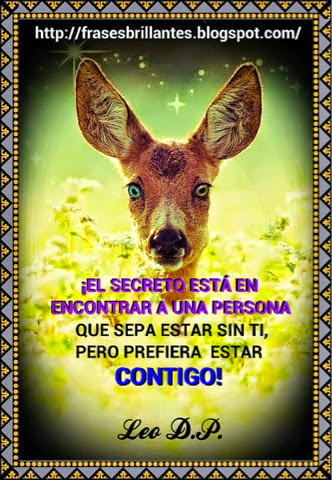 : ¡EL SECRETO ESTÁ EN ENCONTRAR A UNA PERSONA QUE SEPA ESTAR SIN TI, PERO PREFIERA ESTAR CONTIGO! 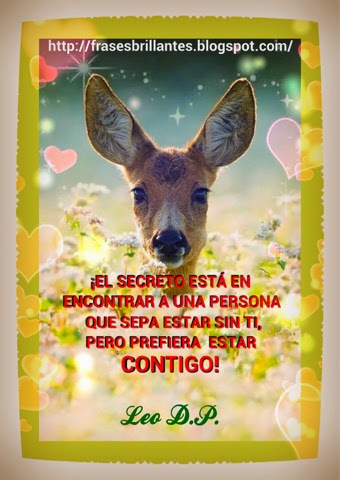 ¡EL SECRETO ESTÁ EN ENCONTRAR A UNA PERSONA QUE SEPA ESTAR SIN TI, PERO PREFIERA ESTAR CONTIGO! Publicado por Unknown en 10:58:00 p. m.